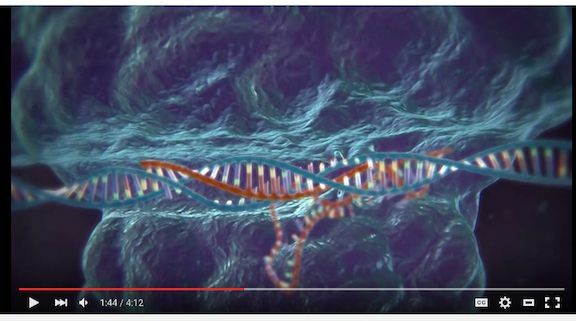 This animation depicts the CRISPR-Cas9 method for genome editing â€“ a powerful new technology with many applications in biomedical research, including the potential to treat human genetic disease. Feng Zhang, a leader in the development of this technology, is a faculty member at MIT, an investigator at the McGovern Institute for Brain Research, and a core member of the Broad Institute. Further information can be found on Prof.
these ... including the one below. A complete lack of formal scientific training has not kept Johan Sosa from dabbling with one of the most powerful molecular-biology tools to come along in decades. Sosa has already used CRISPR, a three-year-old technology that makes targeted modifications to DNA, in test-tube experiments. Next week, he hopes to try the method in yeast and, later, in the model plant Arabidopsis thaliana. 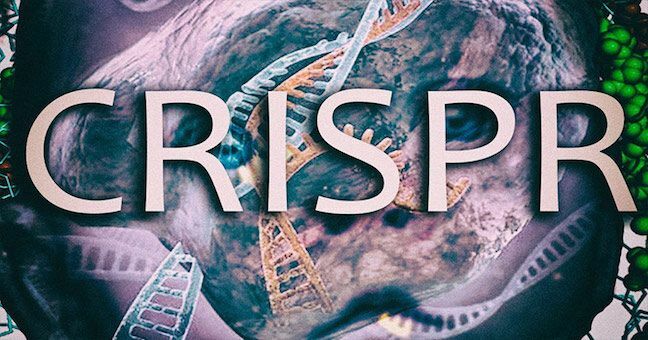 Hailed for its simplicity and versatility, CRISPR allows scientists to make specific changes to a geneâ€™s sequence more easily than ever before. Researchers have used CRISPR to edit genes in everything from bacteria to human embryos; the technique holds the potential to erase genetic defects from family pedigrees plagued by inherited disease, treat cancer in unprecedented ways or grow human organs in pigs. One researcher has even proposed modifying the elephant genome to produce a cold-adapted replica of the long-extinct woolly mammoth. Such feats are beyond the reach of do-it-yourself (DIY) â€˜biohackersâ€™, a growing community of amateur biologists who often work in community laboratories, which typically charge a recurring fee for access to equipment and supplies. 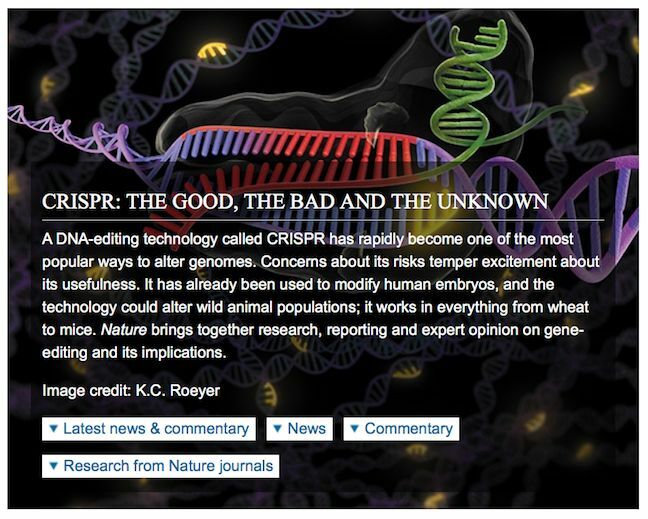 But CRISPR itself is not. Driven by an inventive spirit that inspires them to fiddle with yeast to alter the flavour of beer, build art installations out of bacteria or pursue serious basic-research questions, these amateurs cannot wait to try the technique. a biohacker and entrepreneur who lives in Dublin. Sosa is an IT consultant from San Jose, California, who took up biohacking as a hobby about three years ago, when he decided that he would like to grow organs â€” or maybe other body parts â€” in the lab. At first, he had no idea how unrealistic that goal was. â€œI just thought you take a bunch of stem cells and add stuff to them,â€� he says. The challenge of manipulating living cells sank in as he began to read molecular-biology textbooks, attend seminars and teach himself laboratory techniques. He joined the BioCurious community lab in Sunnyvale, California. The science fiction of Aldous Huxleyâ€™s â€œBrave New Worldâ€� is quickly becoming reality. One of biologist Ethan Bierâ€™s graduate students at the University of California, San Diego, recently conducted an experiment on fruit flies with far-reaching implications â€“ both beneficial and nightmarish â€“ for humanity. â€œIt was one of the most astounding days in my personal scientific career. When he first showed me, I could not believe it,â€� Bier told Oregon Public Broadcasting on Thursday. Graduate student Valentino Gantzâ€™s used a technique called â€œgene driveâ€� to accomplish something simple, yet profound: He forced a generation of brown fruit flies to have mostly blond offspring. 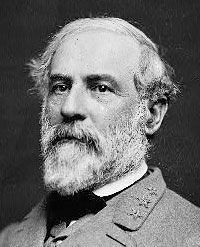 Bier told the station his students were â€œjumping up and downâ€� when the next generation maintained the mutation. â€œI believe itâ€™s going to transform the world of genetics, because itâ€™s going to allow researchers to bypass the rules of genetics in many different spheres of activity. The gene drive immediately makes the organisms that carry [a desired mutation] have the characteristic and then secondly it causes them to have all their children have the same characteristic,â€� Bier said. method called CRISPR, which WND reported on Oct. 29.
â€œWeâ€™re basically able to have a molecular scalpel for genomes. All the technologies in the past were sort of like sledgehammers. â€¦ This just gives scientists the capability do something that is incredibly powerful,â€� biologist Jennifer Doudna told Tech Insider Oct. 28. Delegates at a crucial scientific summit this week are expected to debate a ban on the use of the controversial technique of gene-editing. Hundreds of the worldâ€™s leading biologists will gather in Washington to discuss the procedure, in which genes are removed from or added to human embryos. Some researchers say gene-editing of humans could have unpredictable effects on future generations and is ethically unacceptable. 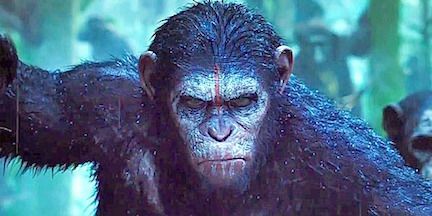 They also warn that the technology could be used to create lineages of â€œenhancedâ€� humans and want all work in the area halted until its implications are fully assessed. Ethical warning bells went off in April when Chinese researchers reported they had experimented with 85 defective human embryos to try to alter genes in every cell without otherwise damaging the DNA. They failed. In most cases, the genes were not altered at all, and in the few cases where the scientists managed to alter the genes, there were problems. Even though the researchers had no plans to produce a live baby, their work once again raised the issue of how soon science will be able to engineer designer babies and, just as importantly, whether doing so is ethical. WASHINGTON (TheBlaze/AP) â€” Rewriting your DNA is getting closer to reality: A revolutionary technology is opening new frontiers for genetic engineering but not before the experts discuss its ethical implications in earnest. Theyâ€™re trying to grow transplantable human organs inside pigs. Theyâ€™re even hatching mutant mosquitoes designed to be incapable of spreading malaria, and exploring ways to wipe out invasive species ... altering sperm, eggs or embryos to affect future generations â€” has been widely regarded as a line science shouldnâ€™t cross. WASHINGTON (Reuters) - Debate over the use of powerful new gene editing tools in human eggs, sperm and embryos grew heated on Tuesday as scientists and ethicists gathered at an international summit to discuss the technology, which has the power to change the DNA of unborn children. widespread use in many labs. But researchers and the growing field of well-funded start-up companies that hope to commercialize the technology are clearly worried about possible regulations. Two of those companies, Intellia Therapeutics and CRISPR Therapeutics, issued a joint statement on Tuesday pledging not to use the new tools to edit human eggs, sperm or embryos. I think its already been put in practice, just look at the lame brains running things. ... at least for now. want the entire society to become one billion Einsteins." BEIJING â€” The head of a Chinese firm that is building the world's biggest animal cloning factory has vowed not to use the technology on people â€” for now, at least. is to grow them inside pigs or sheep. Braving a funding ban put in place by Americaâ€™s top health agency, some U.S. research centers are moving ahead with attempts to grow human tissue inside pigs and sheep with the goal of creating hearts, livers, or other organs needed for transplants. Last September, in a reversal of earlier policy, the National Institutes of Health announced it would not support studies involving such â€œhuman-animal chimerasâ€� until it had reviewed the scientific and social implications more closely. The agency, in a statement, said it was worried about the chance that animalsâ€™ â€œcognitive stateâ€� could be altered if they ended up with human brain cells. The worry is that the animals might turn out to be a little too human for comfort, say ending up with human reproductive cells, patches of people hair, or just higher intelligence. â€œWe are not near the island of Dr. Moreau, but science moves fast." A licence application to edit the genes of â€œspareâ€� IVF embryos for research purposes only is to be discussed on 14 January by the Human Fertilisation and Embryology Authority (HFEA), with final approval likely to be given this month. She denied that the research project will lead down a â€œslippery slopeâ€� to the creation of genetically modified â€œdesigner babiesâ€�, which is the argument used by many who oppose the experiment. Scientists at MIT have proven they can â€˜hackâ€™ living cells and programme them to carry out new tasks. In the same way that computer language tells a machine how to operate, researchers have shown it is possible to write DNA â€˜codeâ€™ and insert it into bacteria to alter how they function. They hope that one day cells could be programmed so they could release cancer drugs on encountering a tumour, or allow plants to fight back with insecticide when a pest comes near. â€œIt is literally a programming language for bacteria,â€� said Christopher Voigt, an MIT professor of biological engineering. doing this for a biomedical purpose." Nevertheless, a small number of researchers are pursuing the work with private funding. They hope the results will persuade the NIH to lift the moratorium. ... a simple little video is scary as HELL! Crispr allows scientists to control the blueprints of life, for better or worse. Scientists can use it to manipulate the genes of any living creature with astonishing ease. Its initial applications have been to target genetic disease, modify foods, and develop new drugs. What comes next is up to us. ... is this the world you want to live in? Customizing life for our own whims? ... and it's NOT just 'hair color' ... it's ANY TRAIT! Sheep today = Humans tomorrow. Scientists have bred the world's first spotty sheep that look like "cows" and "spotty dogs" in a controversial genetic engineering experiement. The genetically modified animals are the brainchild of Liu Mingjun - chief researcher at the state-run Xinjiang Animal Husbandry Research Institute. He says the lambs, which were born in March using Clustered regularly interspaced short palindromic repeats (CRISPR) technology, â€œhave become our lovely pets,â€� and pave the way for dye-free wool and pets with customised fur. It is also believed the modified animals could assist with clinical research and supplying animal organs for transplant to human patients. However, the experiment has caused fears that CRISPR could be used to create designer babies. CRISPR/Cas9 is an immensely powerful technique invented three years ago which allows DNA to be "cut and pasted" using molecular "scissors". It could lead to huge leaps forward in science and medicine, but critics have warned that the pace of change is too fast. British scientists began research using CRISPR earlier this year on embryos after The Human Fertilisation and Embryology Authority (HFEA) regulator approved a licence to use gene editing in research.